In our week in review ending 4 September 2015, MailShark spam filters caught a variety of interesting email scams. Look out for these suspicious emails in your inbox and delete them if received. Keep reading to find out more and click the link within the summary to read the full email scam article. 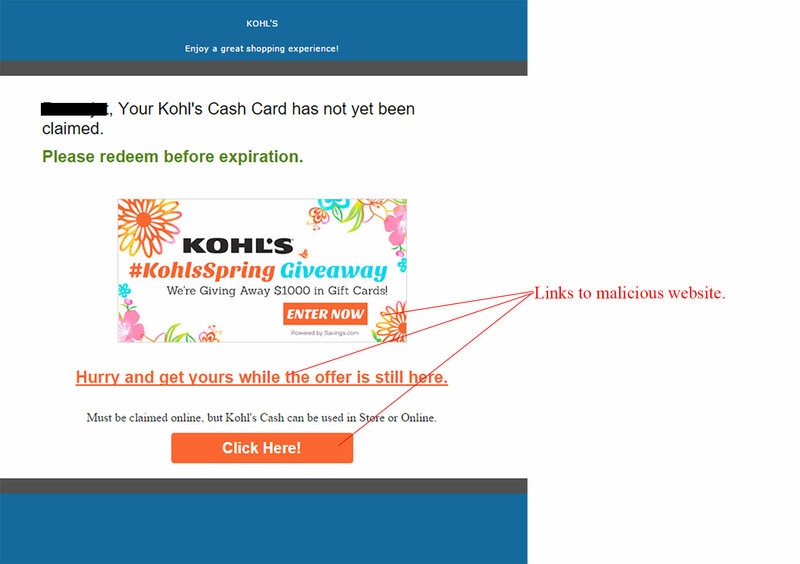 The first email caught this week was yet another gift card email scam targeted at an American department store chain, Kohl’s. This email has three malicious links and will put you at risk of a malware infection so delete it if received. 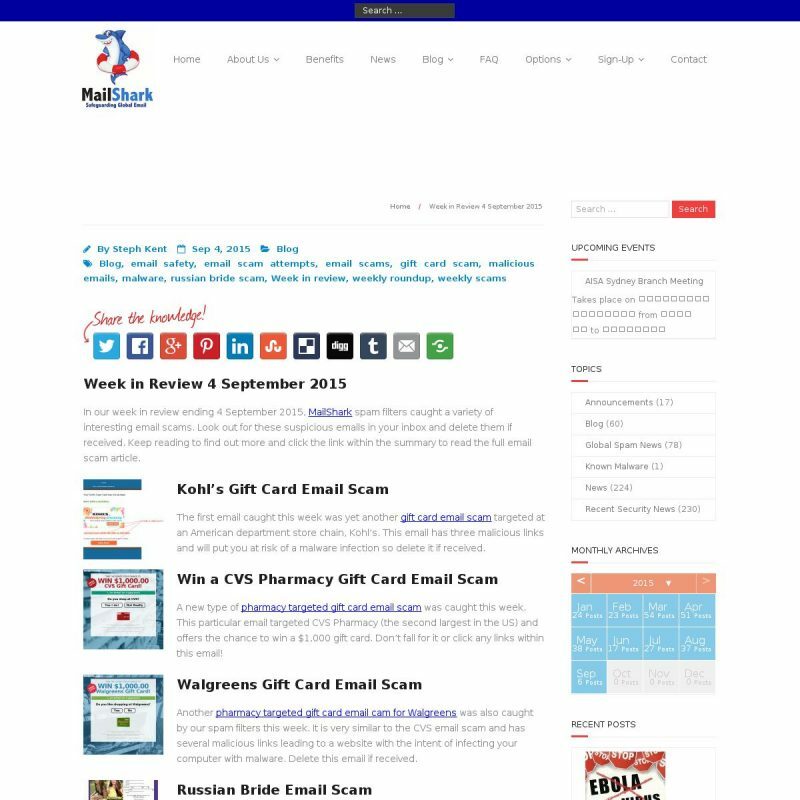 A new type of pharmacy targeted gift card email scam was caught this week. 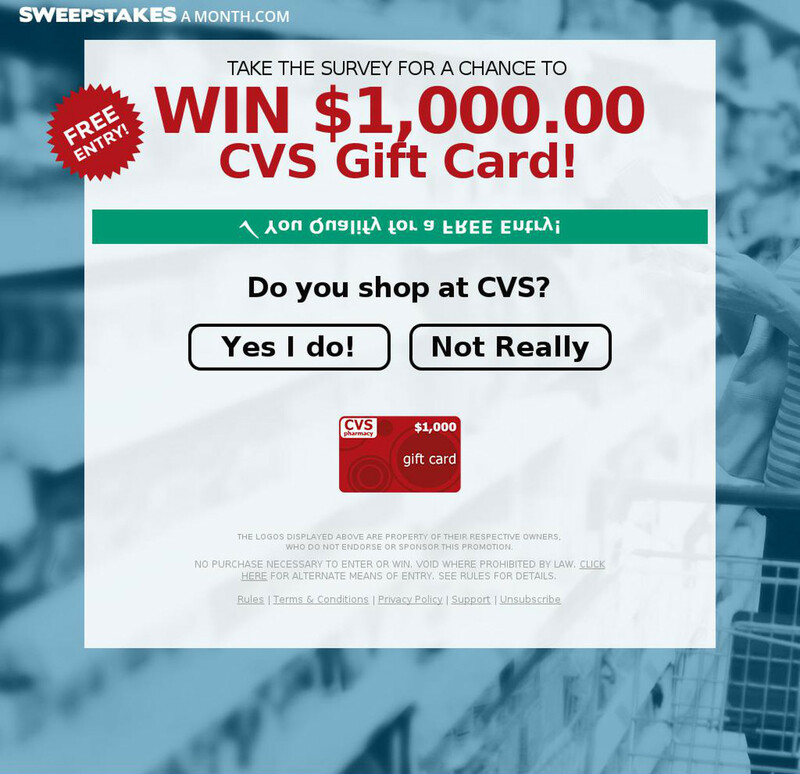 This particular email targeted CVS Pharmacy (the second largest in the US) and offers the chance to win a $1,000 gift card. Don’t fall for it or click any links within this email! 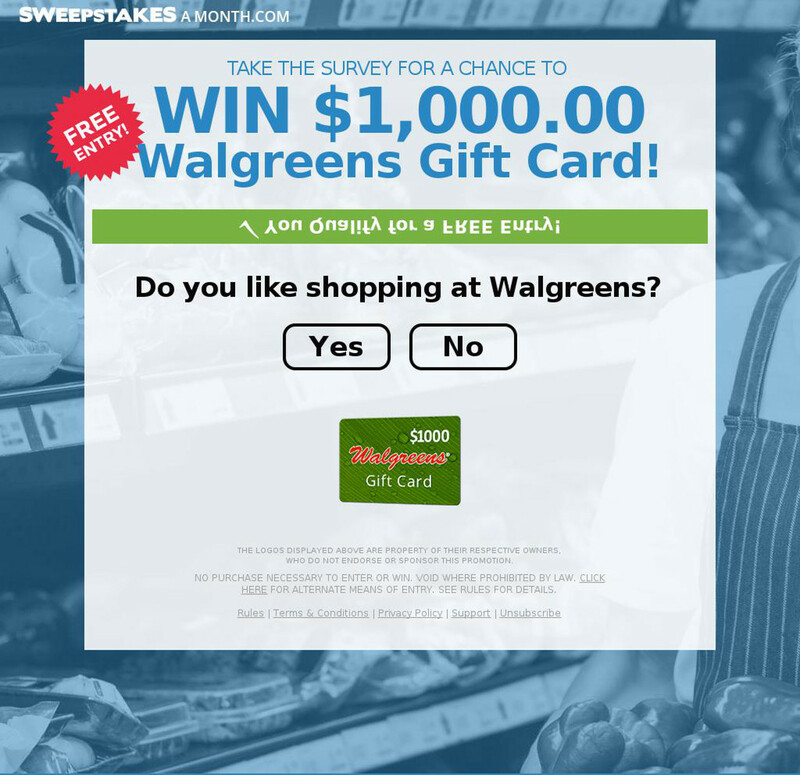 Another pharmacy targeted gift card email cam for Walgreens was also caught by our spam filters this week. It is very similar to the CVS email scam and has several malicious links leading to a website with the intent of infecting your computer with malware. Delete this email if received. This Russian bride email scam uses the promise of female company to attract clicks through to a malicious website. It is poorly designed and has some clear indications of its true nature. As usual, delete this email or risk a malware infection. A belly flattening exercise email scam was also caught this week targeting people interested in losing weight. It claims to have the secrets to shrinking your waistline – this email is a fake and will lead to a malware infection. Delete it from your inbox.